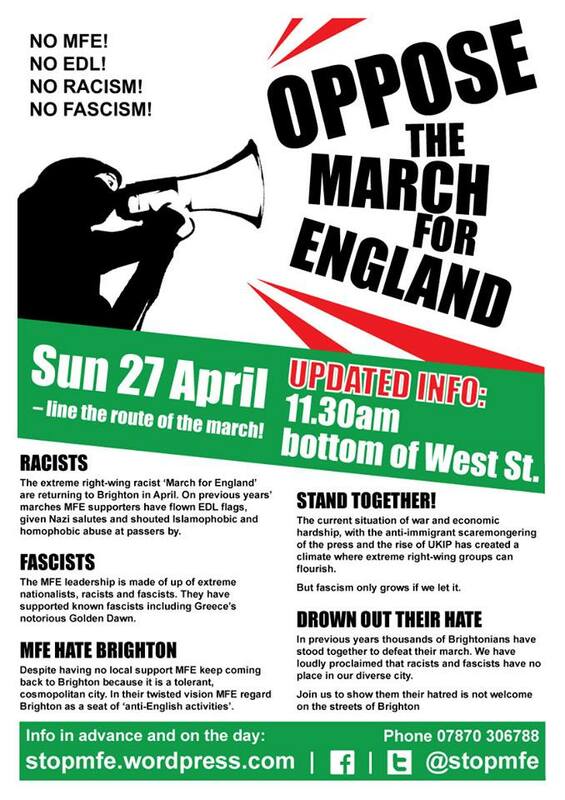 This Sunday residents of Brighton & Hove and anti-racists from across Sussex will come together to oppose the far right’s so-called “March for England”. In all likelihood Brighton & Hove will put on as great a display of unity in rejecting the racists this year, as we did peacefully, loudly and overwhelmingly in our tens of thousands in 2012 and 2013. Please join the protest against the racists marching through our towns. 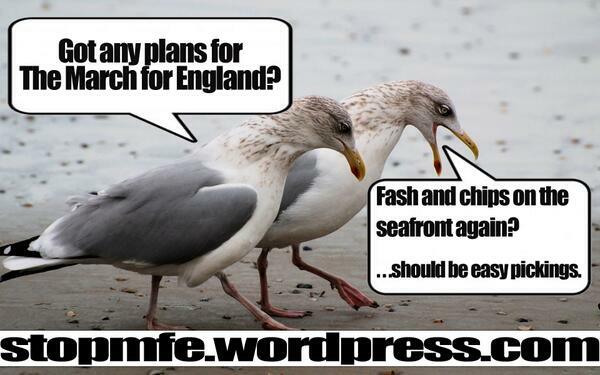 Meet from 11.30am on at the bottom of West Street, on Brighton seafront. Ignore any alarmist pieces that, on past experience, will soon appear in The Argus. In 2012 many thousands of protesters witnessed nothing but joyous and peaceful rejection of racism. Indeed the day was by far the most uplifting and empowering occasion that most of us had ever participated in, as the racists were rejected by the people of Brighton & Hove standing united together. 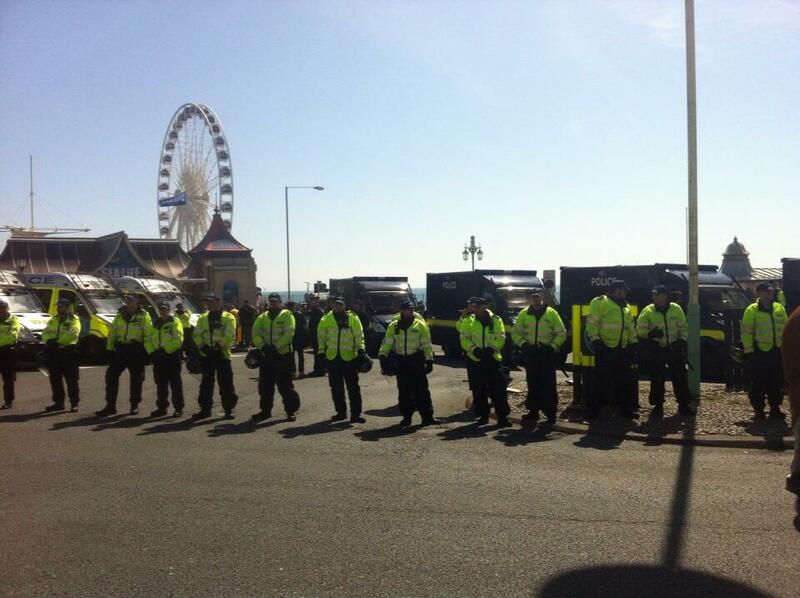 We have no doubt that would have been the same again last year if protesters had not been split up and kept apart due to the shocking military-style police tactics that led to a virtual shutdown of Brighton seafront with barricades blocking streets and officers preventing the free movement of residents. All while motley bands of racists were afforded horse guards and police escorts in and out of pubs, shops and through our town. If you can’t make it to Brighton you can still join in on social media. 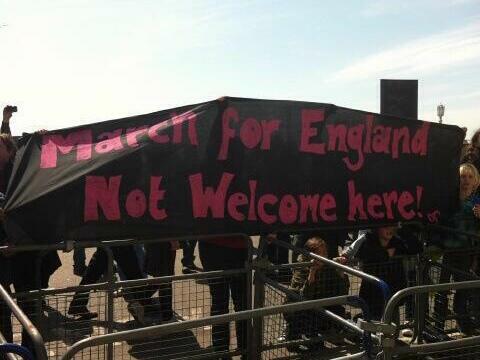 Tell the far right they’re not welcome here by showing your solidarity using the hashtag #stopmfe. You might like to post this classic from 1980s favourites Heaven17. 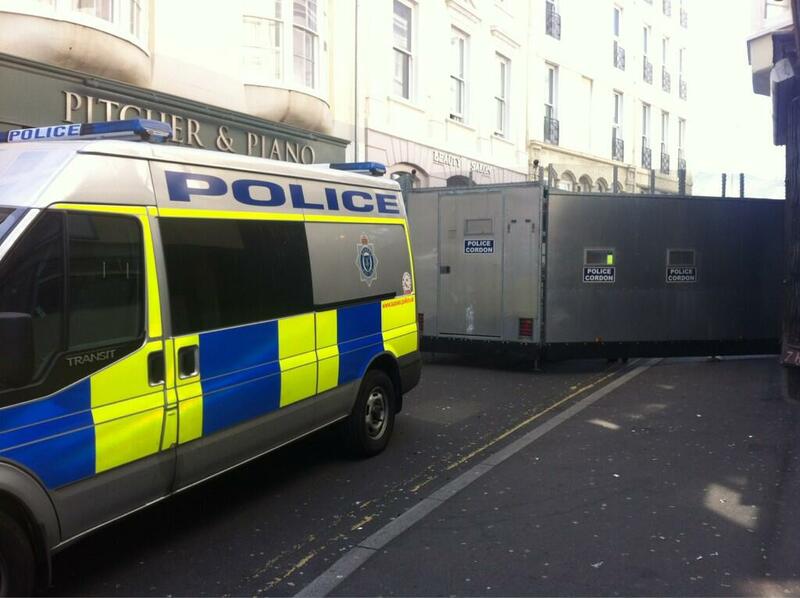 Or query whether Sussex’s Tory Police & Crime Commissioner, Katy Bourne, will be as zealous in pursuing Home Office reimbursement for excessive policing costs incurred in Brighton this Sunday, as she was for the costs of policing fracking protests around Balcombe – which would have otherwise been borne by mostly Tory voters in mid-Sussex. Brighton & Hove is a brilliant and vibrant city where many people of different cultures, backgrounds, abilities and faiths come together. It has a positive and unique character which its residents enjoy and embrace. People of Brighton & Hove value each other, celebrate diversity, tolerate difference and famously have lots of fun! Only hatred, prejudice and ignorance is despised. 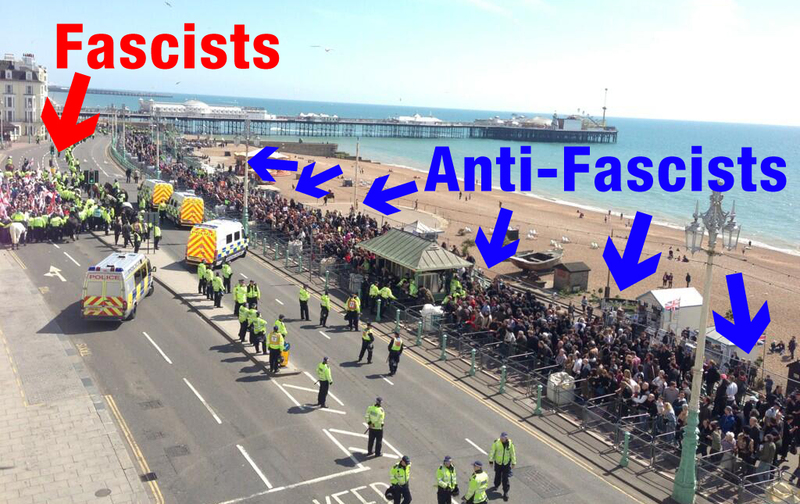 Far right groups find Brighton & Hove’s very existence offensive as the city’s successful demonstration of multi-culturalism undermines their core beliefs. 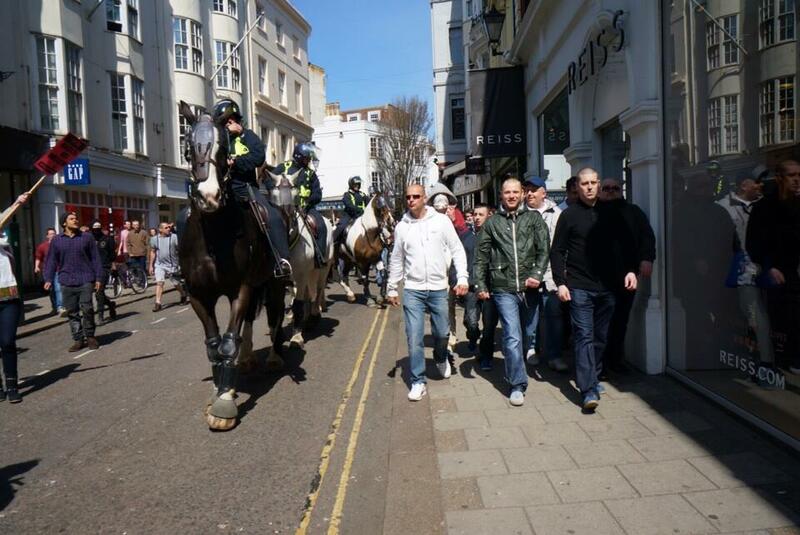 So Brighton & Hove has become the annual target for the far right’s so-called “March for England”. But this only encourages the local unity of people across Brighton & Hove. When anyone tries to threaten our community we stand together even more firmly. Please stand with us this Sunday. 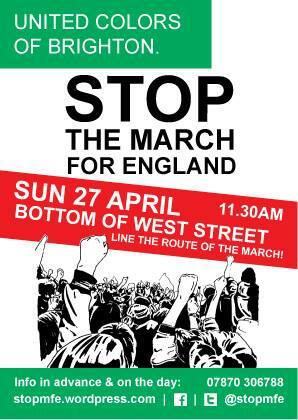 See you on Sunday at 11.30am at the bottom of West Street, Brighton. ← How Can Labour Re-Build Trust With Teachers?